"Massachusetts Births, 1841-1915", database with images, FamilySearch (https://familysearch.org/ark:/61903/1:1:FX8J-B8G : 1 March 2016), Susie May Judkins, 1878. Rebecca Maude Keefe also went by the name of She went by her middle name, Maude. 1920 United States. Bureau of the Census. 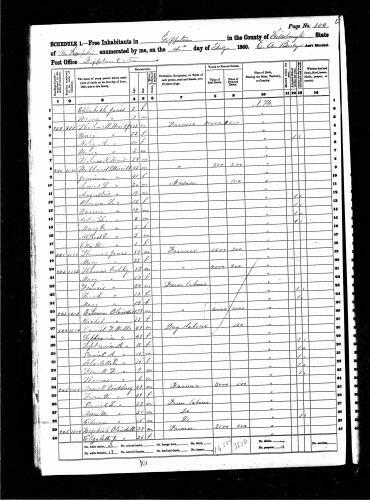 14th census, 1920 population census schedules, Washington, District of Columbia: The National Archives, ([193-?]) , Refer to vol 117 ed 434 sheet 9 line 34. Age given would indicate she was born in 1882 or '83. WOODWARD, Boston Globe, Boston, Mass., Feb 23, 1971, Page 33. Vital records of Amesbury, Massachusetts to the end of the year 1849, , at https://archive.org/details/vitalrecordsofam00ames . Topsfield, Mass. : Topsfield Historical Society, (1913) , p. 150. 1880 United States. Census Office. 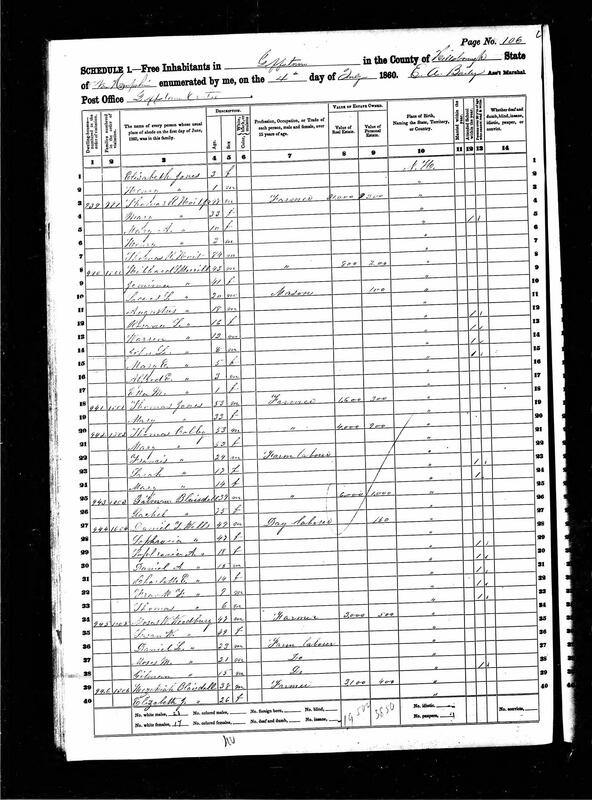 10th census, 1880 federal population census, Washington, District of Columbia: National Archives and Records Service, ([19--]) , FHL Film 1254543; National Archives Film T9-0543; Page 361B. Vital records of Amesbury, Massachusetts to the end of the year 1849, , at https://archive.org/details/vitalrecordsofam00ames . Topsfield, Mass. : Topsfield Historical Society, (1913) , p. 152. Ezra S. Stearns and William F. Witcher and Edward E. Parker, Genealogical and family history of the state of New Hampshire, Vol. 3, , at https://books.google.com/books?id=EthxO9RvKw8C . New York and Chicago: Lewis Publishing Company, (1908) , p. 1133. Vital records of Amesbury, Massachusetts to the end of the year 1849, , at https://archive.org/details/vitalrecordsofam00ames . Topsfield, Mass. : Topsfield Historical Society, (1913) , p. 401. Bowdoin College Library Bulletin, , at https://books.google.com/books?id=wyxsedhgmawC . Brunswick, Maine: (1895) , p. 206. New Hampshire. Registrar of Vital Statistics, Index to marriages, early to 1900, Salt Lake City: Filmed by the Genealogical Society of Utah, (1975-1976) Microfilm #1000976 of the Family History Library, Salt Lake City, Utah: Index to marriages - Calef to Columbia.